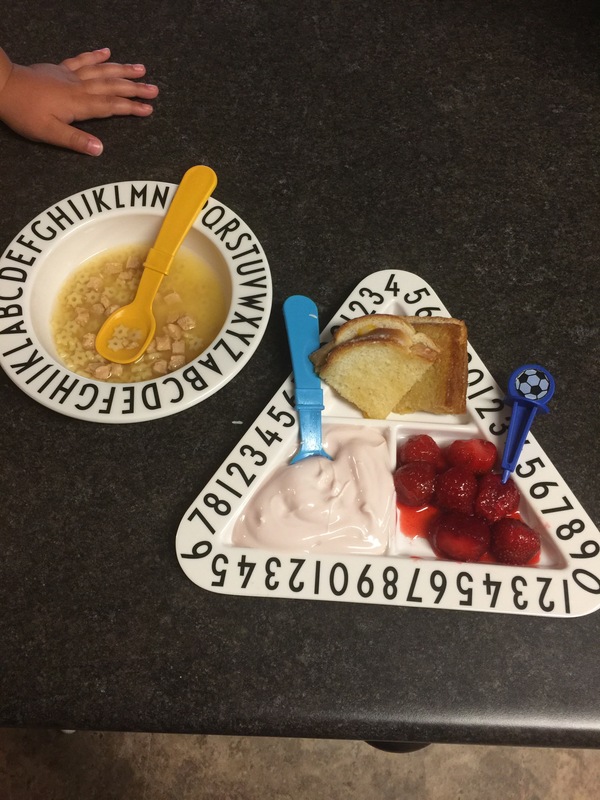 Here is a recap of the meals Brylee ate last week. You can follow along here for more instantaneous posts. These will be a little more in-depth than on Instagram with direct links to all the products! 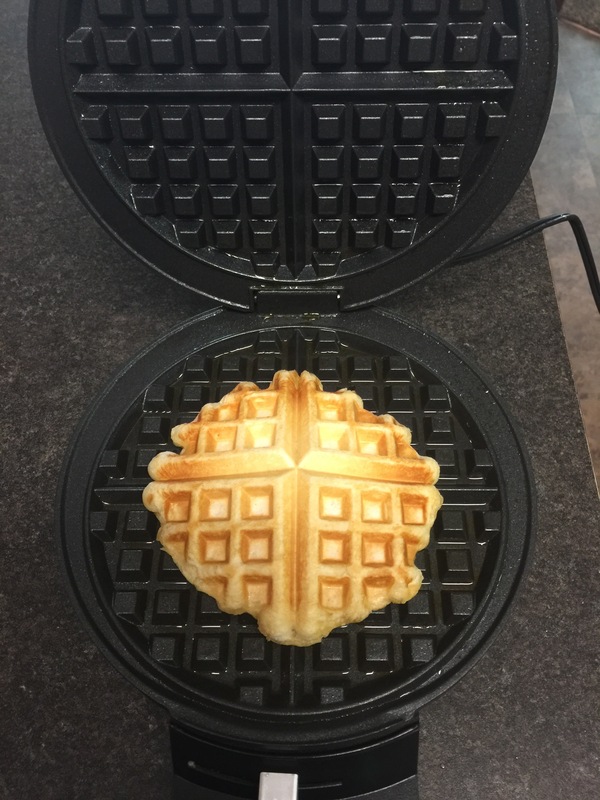 First up, this is a super easy waffle hack. 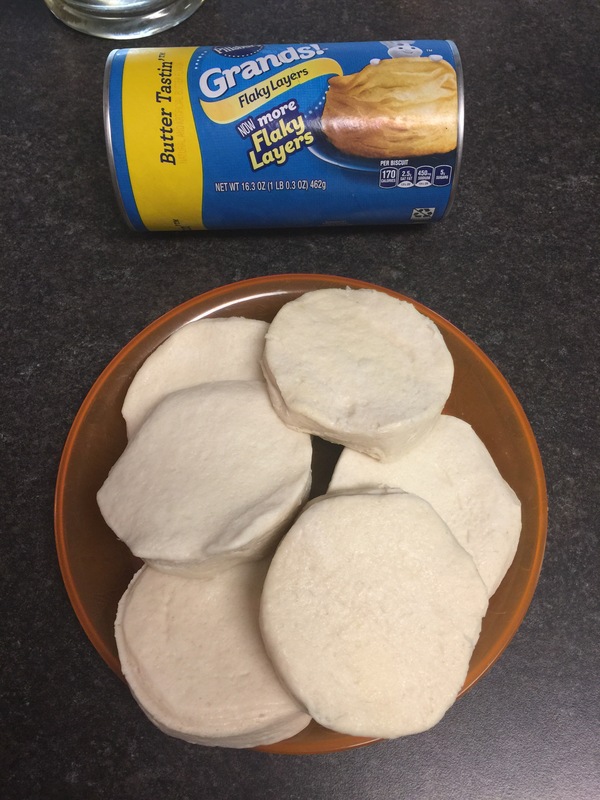 I use Flaky Layers biscuits. I like the layer ones because you can separate the layers after they are “baked” and put different fillings in them. 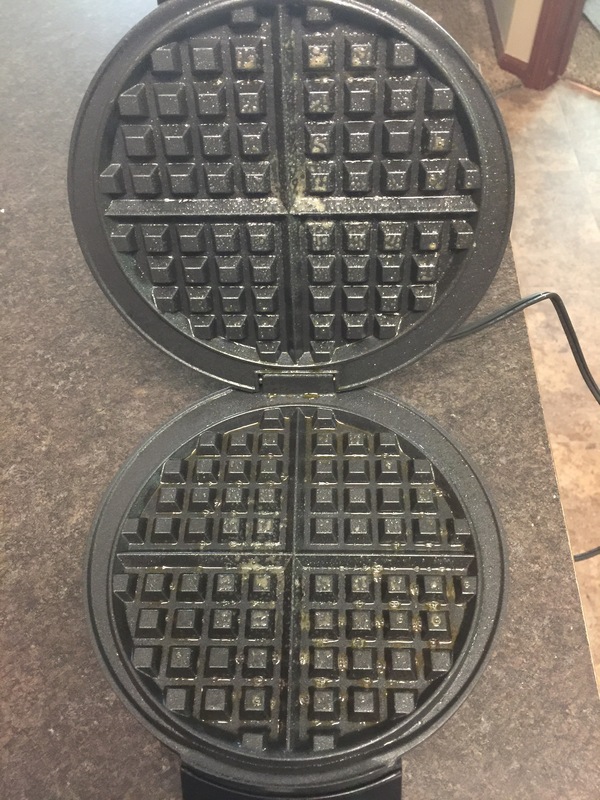 I’ve used peanut butter, cookie butter, and even scrambled eggs. They would be easy on the go meals and they freeze well once made (just reheat in the microwave, toaster, or in our case NuWave). 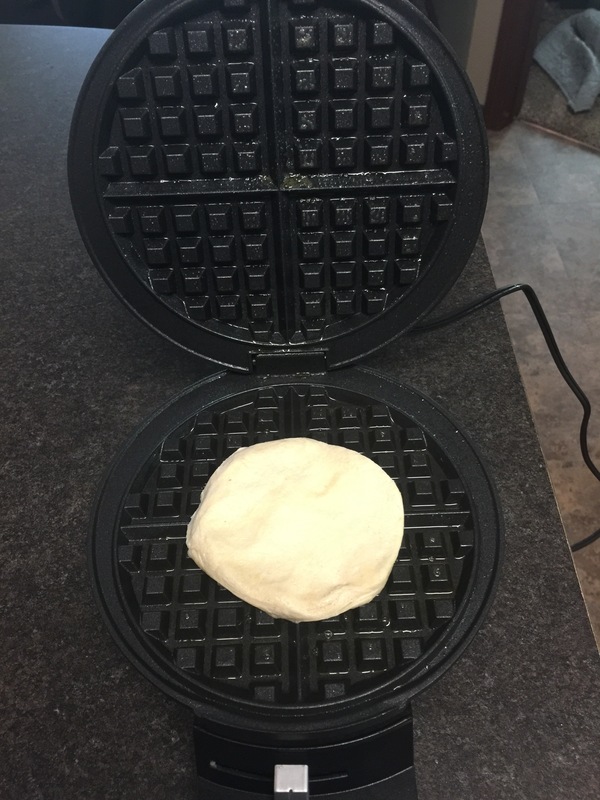 To make them just pre-heat your waffle iron, spray with cooking spray, place one biscuit in center of waffle iron and cook until baked through. I did these on medium for a few minutes. 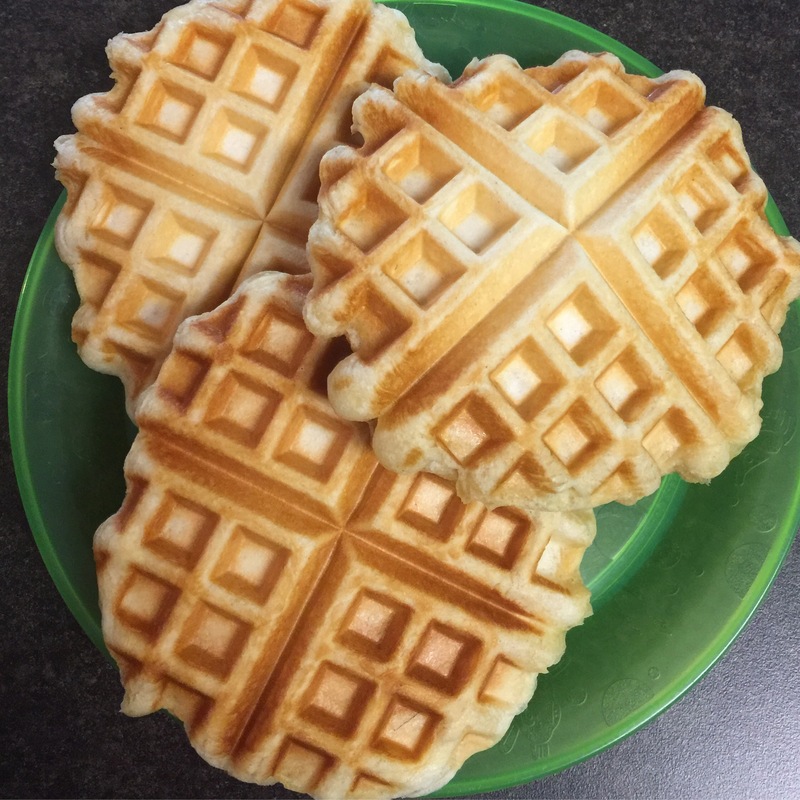 Here is a meal that I made with the waffles from above. Brylee is weird and doesn’t always like things on her waffles (which is nice for me because no sticky syrup mess). 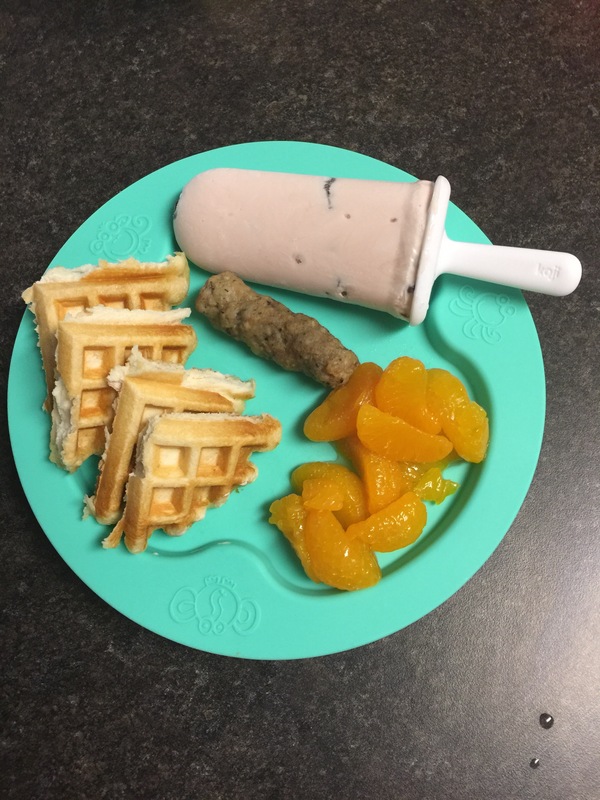 She had waffles, sausage link-I like those ones because they are fully cooked and I can just nuke them in the microwave, mandarin oranges (these were canned ones) and a frozen yogurt pop. For the yogurt pop I used strawberry honey yogurt and froze it with mini chocolate chips in our Koji Popsicle mold. Plate is oogaa. One day for breakfast, we used Brylee’s new mmm Lunch Buddies lunch box (bonus the lunch box is dishwasher safe!). Brylee was so excited to use it. I have a red one on my list to get next. 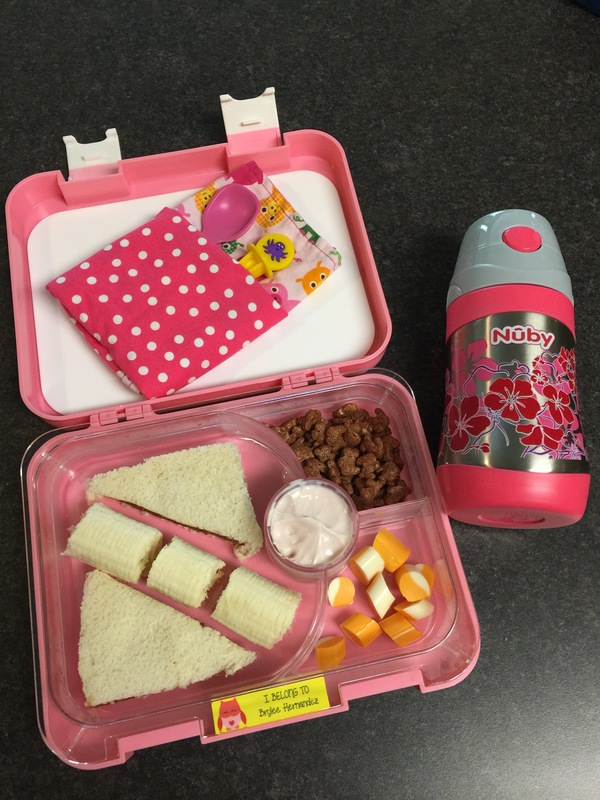 She had a cookie butter sandwich, banana, strawberry honey yogurt, Annie’s cocoa bunny cereal, cheese stick and milk in her Nuby Active Sipeez cup (which is perfect for keeping it cold on the go!). Also pictured, napkin, spoon, pick. 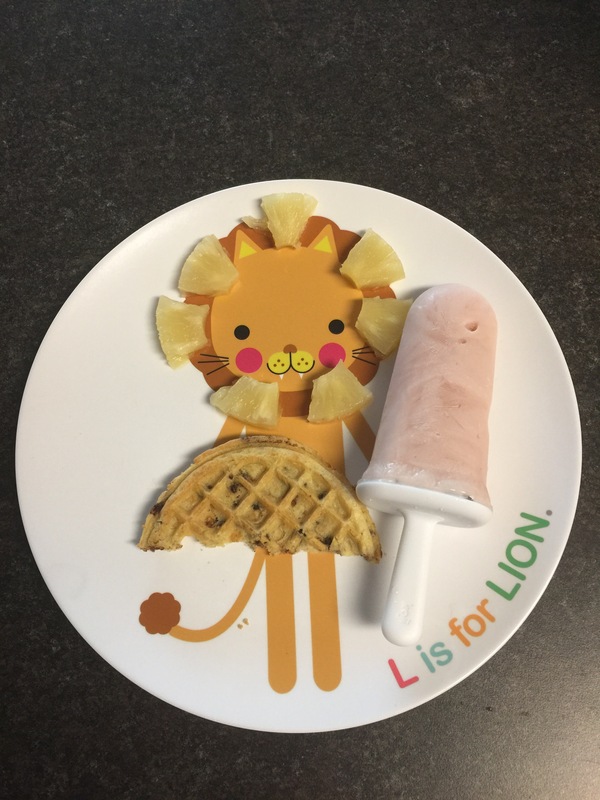 Another morning she had half of a chocolate chip Eggo waffle, a frozen yogurt pop (same as above) and pineapple slices. Plate is Dylbug. Don’t mind Brylee’s random knee and toe and the doll arm in this picture. They were helping me make breakfast. This one was a simple one. 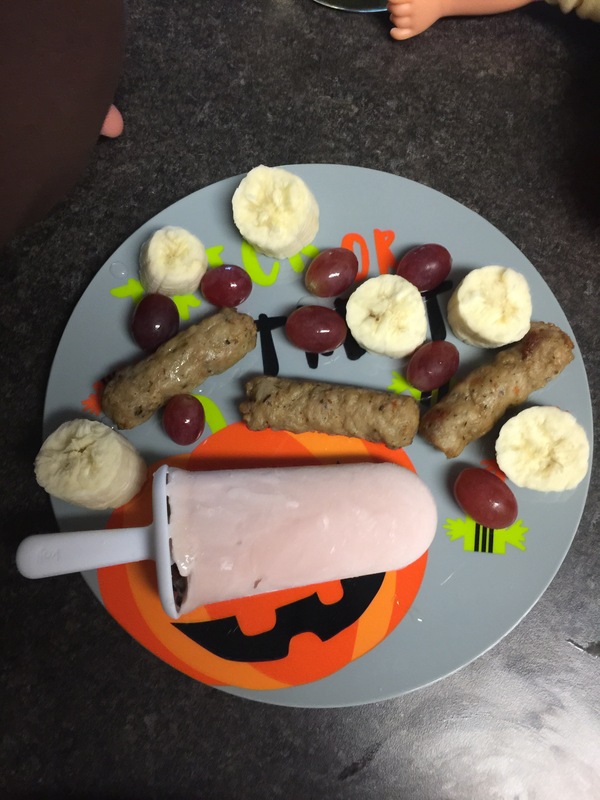 Sausage links, grapes, banana and a yogurt pop. Plate is from Target’s dollar spot. 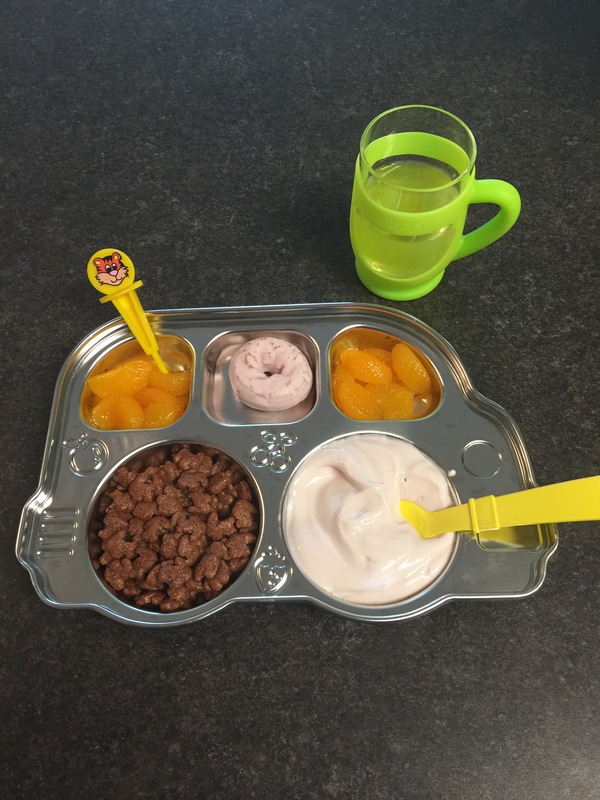 Another breakfast Brylee had was mandarin oranges, strawberry donut, yogurt and cereal. Glass, pick, bus platter, and spoon. For supper one night we had grilled cheese (that I had to take off before it could turn golden brown because I had a hangry toddler…), Annie’s chicken and stars soup, honey strawberry yogurt, and strawberries in sauce (I just placed some frozen strawberries in a bowl and sprinkled a little sugar on them while I made the rest of supper. By the time they defrosted, the sugar magically turned into a sweet sauce!). Plate and Bowl both from Ameico (or can be found here). 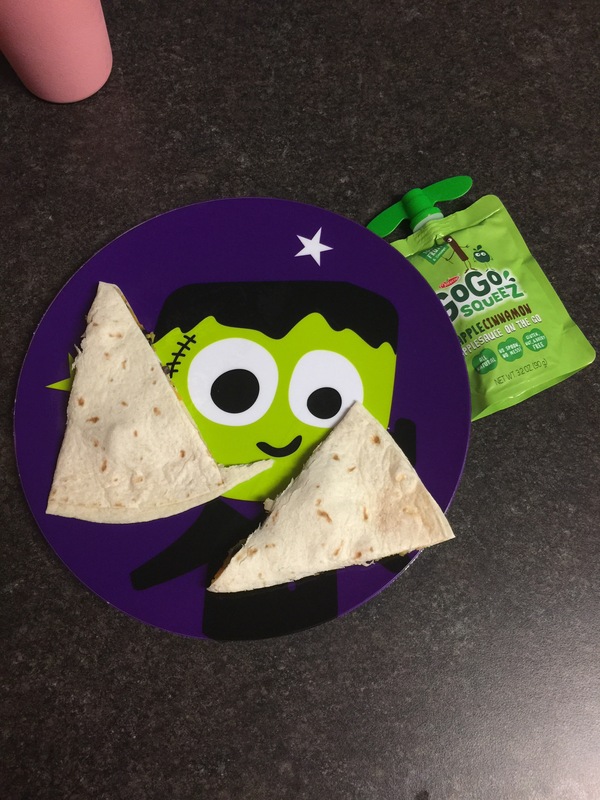 One day for supper, Brylee had a black bean and chicken quesadilla (I put the cheese, chicken and beans on half of the tortilla, folded it over and microwaved it for about 30 seconds until the cheese was melted, then cut into trigangels) and an apple sauce pouch. Plate from Target’s dollar spot. 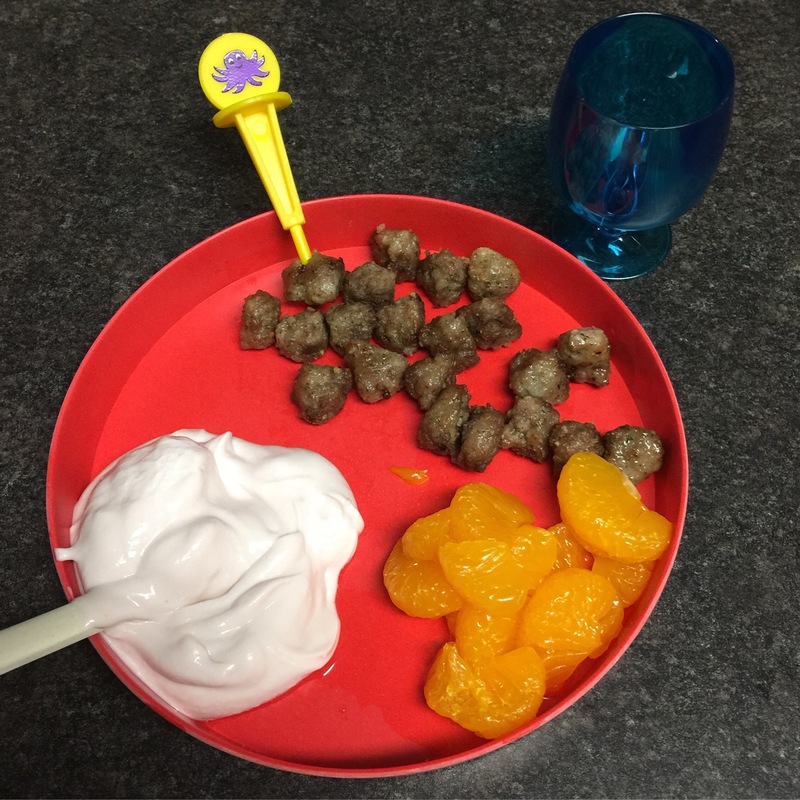 For a quick and easy supper one night, Brylee had meatballs, yogurt, and mandarin oranges. Pick, plate (and spoon) and super cute “wine” glass (that I totally thought was more of an adult size because #momlife). 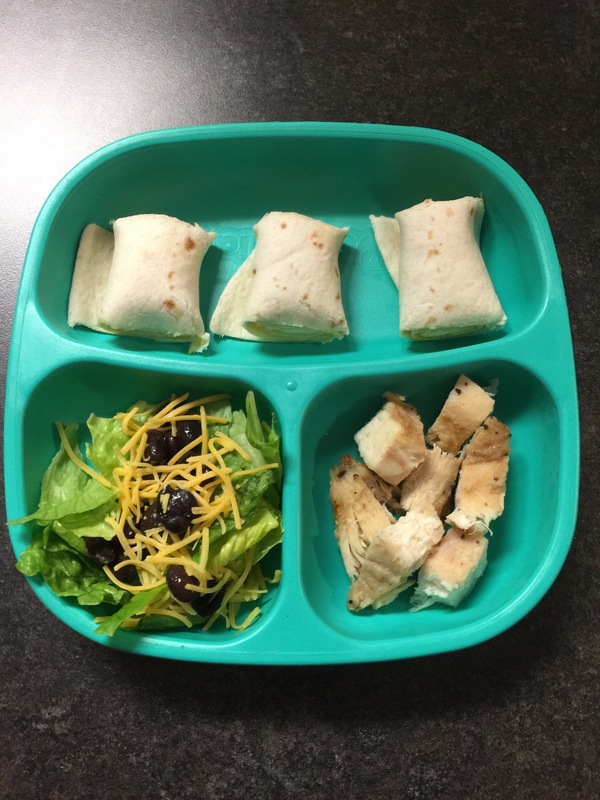 Another supper was a cheese and tortilla roll up (shredded cheese on a tortilla, microwave until melted (about 30 seconds), rolled up and cut into smaller pieces), lettuce black bean and cheese salad and chicken pieces. Plate is Re-Play. This one was my lunch one day but I had to share. I love the Southwestern Salad at McDonald’s. We went to Chick-fil-A for supper one night and we had leftover chicken strips. I used them in my take on the southwestern salad. 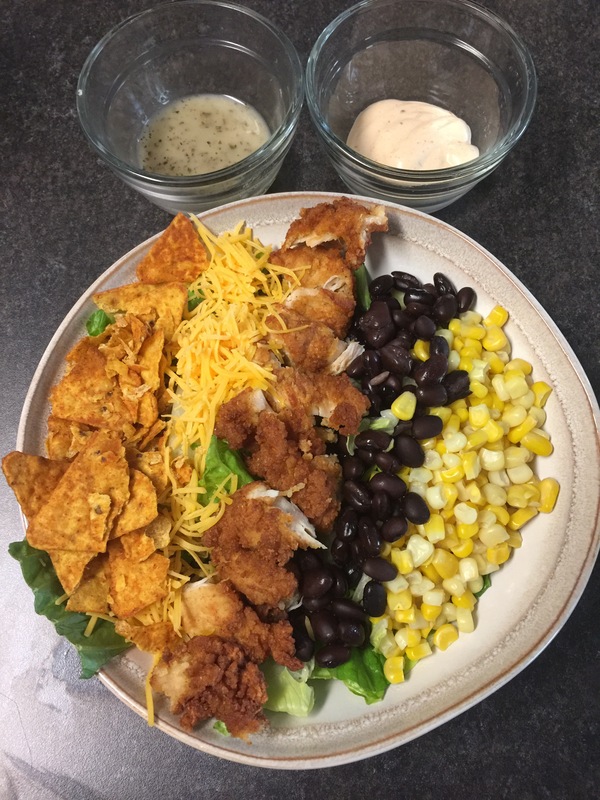 I used romaine lettuce pieces, frozen corn (that I just microwaved to warm up), black beans (I rinsed them before eating), shredded cheddar cheese, Taco flavored Doritos, Chick-fil-A tenders, zesty lime dressing and southwest ranch (why don’t they sell the legit Newman’s Own Southwest dressing in stores?!). Now I need to meal plan some fun meals for the next coming weeks because Halloween! !